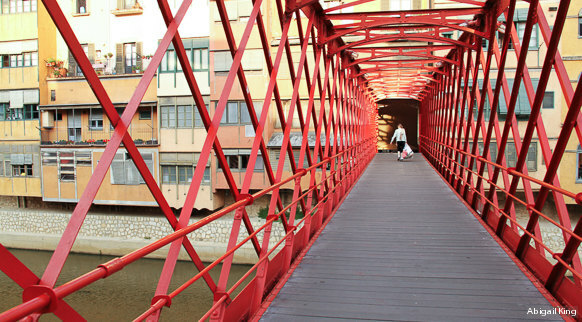 If you think that Girona is just a place for passing through, you've got the wrong idea. The view of the houses along the OnyarRiver, their intense colours reflected in the water, announces straight away that the city has plenty of treasures in store for visitors. Girona’s Old Quarter invites you on a spectacular journey back in time along the maze of narrow streets that originally formed the city’s old Jewish quarter (El Call), one of the largest and best-preserved districts of its kind anywhere in Europe. The cultural landscape is rich in architecture, with plenty of must-see attractions, such as the cathedral, the Arab baths, the Romanesque monastery of Sant Pere de Galligants or the church of Sant Narcís. 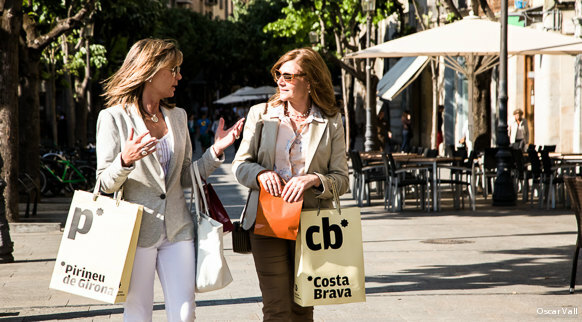 The history and culture of Girona go hand-in-hand with internationally renowned first-rate cuisine. One of the best known restaurants in the city is El Celler de Can Roca, a serial collector of Michelin stars. There are obviously more economic options for eating out; the city is full of restaurants and patisseries that will leave a great taste in your mouth. And if you can stay longer, great! The wonderful beaches, coves and towns of the Costa Brava, along with the spectacular beauty of the Girona Pyrenees, are just a few kilometres away. It’s worth mentioning that Girona is not a city for just passing through; a one-day whistle stop tour doesn’t do it justice either.